Heavy snow now. Sticking to everything now. You got lucky with a little bit of oomph in the shower. 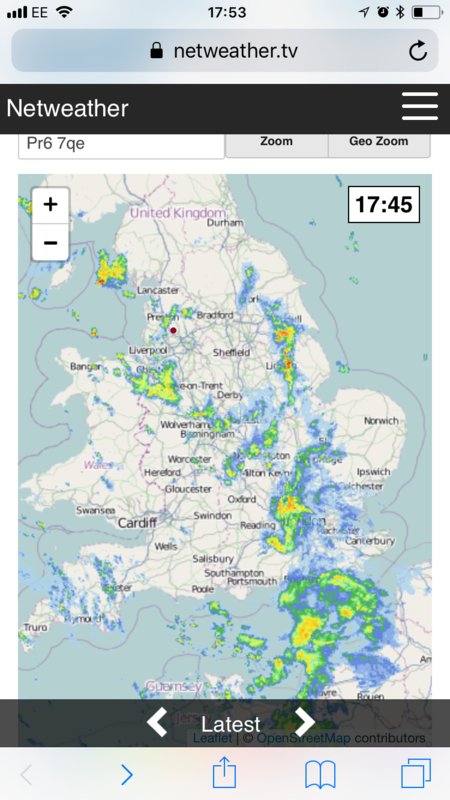 Very localised though and it will probably be very light IF it reaches areas around Greater Manchester in 30/40 minutes time. Well it’s a good sign here that’s temps are dropping during the clear spells between showers. Shows that the sea modification is not that substantial thanks to the light winds. Gave a good burst over Mold and left a cm - enough to turn everything white for now anyway. Hoping the NI stuff makes it over. 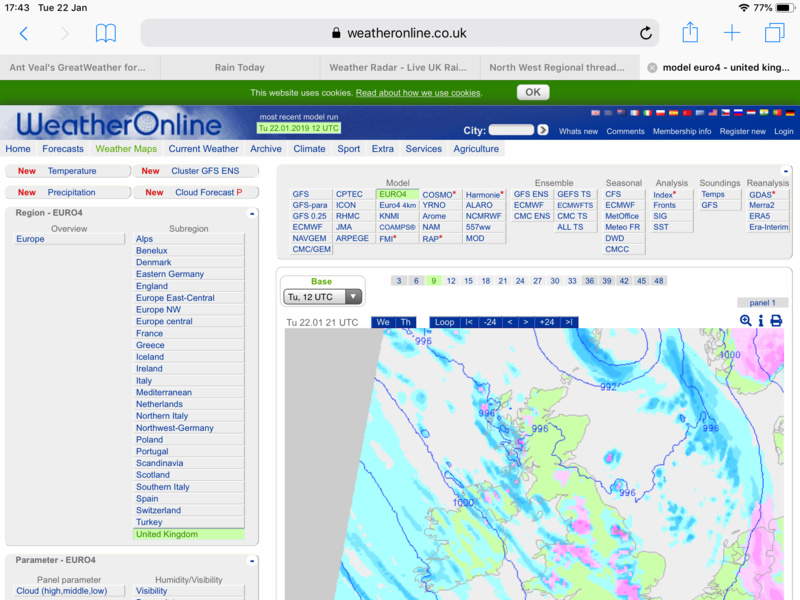 It is snow according to the netweather radar over me. So it must be snow. Sleet showers until 3 AM. A lower probability of heavy snow showers and heavy ice pellet showers until 3 AM. A lower probability of snow showers until 8 AM. A lower probability of light sleet showers between 8 AM and 6 PM. How the hell has snow got down to London from a NWly!? Must be the cold pool got drag down from the West Pennine Moors. Want that blob over the Irish Sea right over my house! 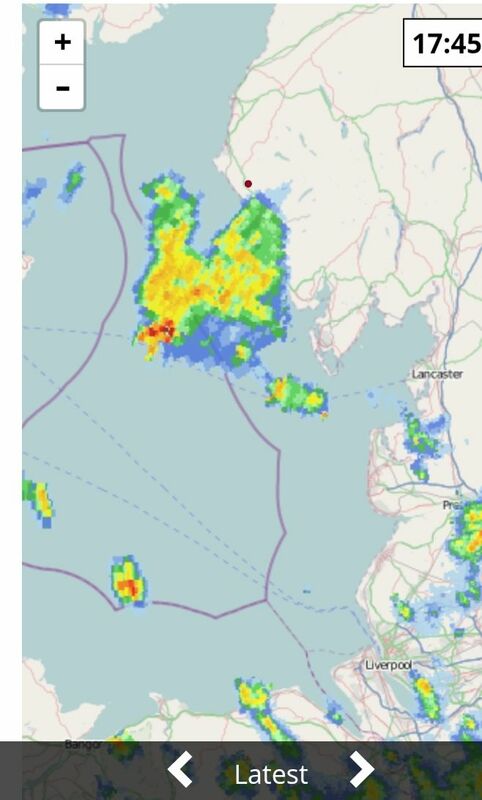 I like the look of that blob heading towards Blackpool, that has Greater Manchester in its sights. Nothing in St Helens as I thought but the ice is taking hold now. That train of showers behind it might reach us too.